A 21-year-old Herndon man is charged with attempted capital murder in relation to an incident late Sunday night where shots were fired at a Fairfax County police officer in his cruiser. 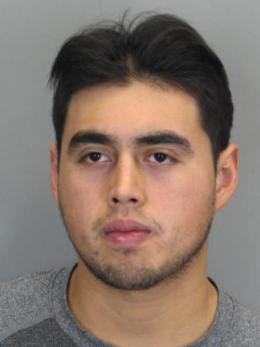 Brian Neftali Landaverde, of Astoria Circle, also faces a charge of using a firearm in the commission of a felony, the Fairfax County Police Department announced Tuesday afternoon. 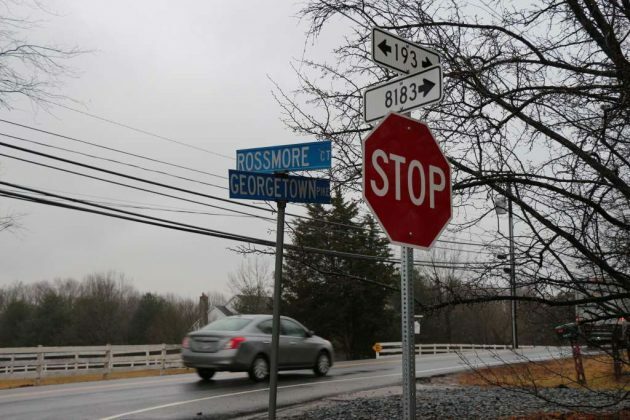 The incident took place at about 11:45 p.m. Sunday on Rossmore Court, off Georgetown Pike near Great Falls. The officer attempted to initiate a traffic stop when one suspect fled from the vehicle. The driver then turned the car around and came at the officer’s cruiser. 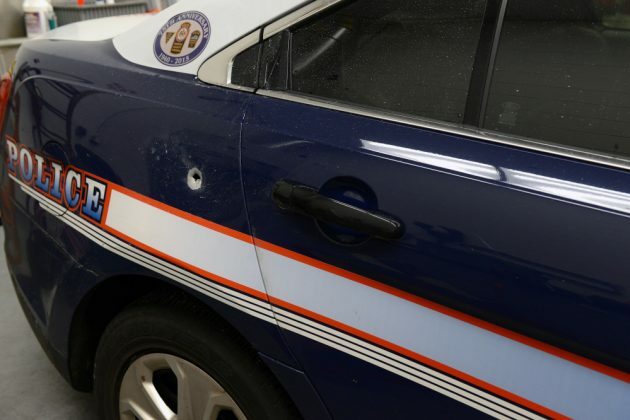 Shots were fired, and at least two bullets struck the police car. The suspect had been arrested Monday night in Herndon. At a press conference Tuesday afternoon, Herndon Police Chief Maggie DeBoard said Landaverde was apprehended after he was spotted waving a gun in the parking lot of a business on Elden Street near Alabama Drive. Landaverde was charged in Herndon with possession of a stolen firearm. During the course of the investigation, DeBoard said, officers connected Landaverde with the Fairfax County case and alerted FCPD detectives. 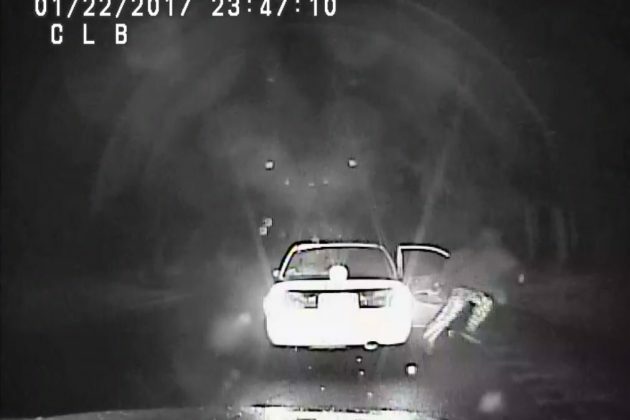 Fairfax County Police Chief Edwin Roessler Jr. said in addition to the Herndon officers “going above and beyond,” his department received a number of “solid leads” from the community that helped them make the arrest. He said evidence has been recovered linking Landaverde to the crime. 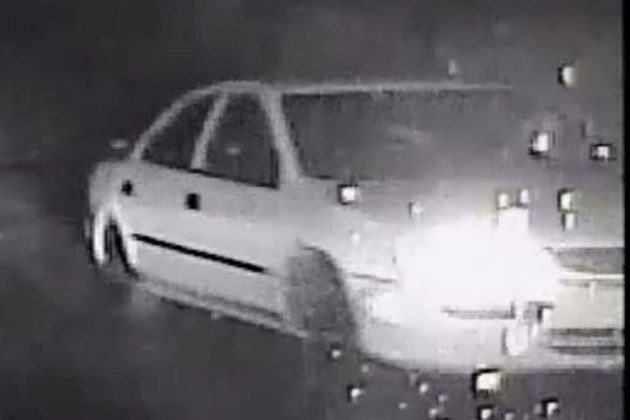 FCPD says Landaverde was in the vehicle with two juveniles, ages 16 and 17, one of whom is the person who fled the vehicle just before the shooting. Roessler said at the press conference that the two juveniles have also been located and are being interviewed by police. “We have made our county safer by taking these violent thugs off the street,” the chief said. 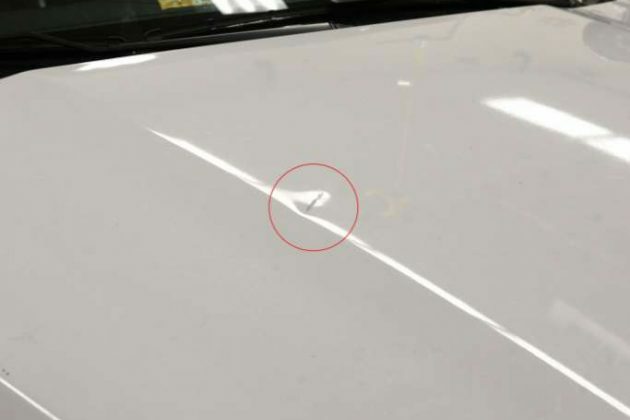 Roessler said the vehicle involved the incident has been recovered, and damage to the windshield indicates the bullets were fired from inside the car. The chief also said the officer who was fired upon is doing well and is receiving support from his colleagues.